Mrs. Johnson has been dancing for 21 years. She began her journey in dance at the Dance Center of Baytown (Formerly known as Barbers Hill Dance Center) in 1996 under the direction of Mrs. Laura Kuritz and in her later years, Ms.Tamarah Earthman. There she studied the genres of ballet, tap, jazz, hip hop, pointe, lyrical, and was a part of their first competition team. 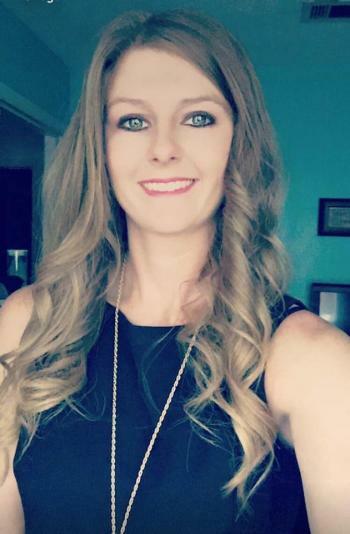 After years of competing both regionally and nationally with the Dance Center of Baytown, Mrs. Johnsonbecame a member of the Barbers Hill High School Eaglettes under the direction of Mrs.Melanie Gray in 2006. There she was a four year member and served in officer postitions for three years. She was Line Sergeant (Sophomore), Co Captain (Junior), and Captain (Senior). Following high school, Mrs. Johnson attended Stephen F. Austin State University in Nacogdoches, Texas where she continued to study dance. She was a member of the National Champion SFA Pom Squad under the direction of T.J. Maple, and later a member of the SFA Repertory Dance Company. Following graduation, Mrs. Johnson accepted her first official teaching position with Porter High School as the Assistant Drill Team Director of the Golden Graces and Dance Teacher. She then moved to Dayton High School where she is the Head Drill Team Director and Dance Teacher.